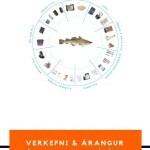 Fréttasíðan Worldfishing.net fjallaði á dögunum um nýja tæknilausn fyrir þurrkun sem fyrirtækið Ocean Excellence hyggst kynna á sjávarútvegssýningunni í Brussel í maí. 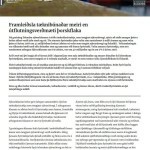 Ocean Excellence varð til í samstarfi innan Íslenska sjávarklasans, en hlutverk fyrirtækisins er að flytja út íslenskar tæknilausnir til nýtingar á aukaafurðum. Fréttina má lesa bæði að neðan og hér. 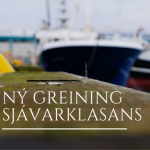 At Seafood Processing Global, Ocean Excellence of Iceland will introduce its new design of modular fish drying units – a containerised solution that offers flexibility in layout as well as in capacity. 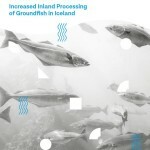 Drying has been an important part of the esteemed Icelandic fish processing heritage for a long time, where Icelanders have dried fish for both the domestic market and for export to various European countries, as well as the African continent. 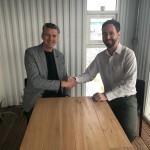 In recent years Icelanders have developed their drying industry from outdoor drying on trestles to indoor drying in an air controlled and air conditioned environment. The new modular drying solution is based on experience derived from this development, where revolutionary success has been achieved in reducing the energy cost of the drying process. 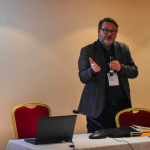 Ocean Excellence says that when considering the integrated processing and storage cost, drying would be one of the most cost effective ways of processing and preserving food throughout the entire value chain. In the case of this particular solution, this effectiveness is enhanced by applying cutting edge air-to-air heat transfer technology to recycle the energy used in the drying process. 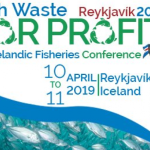 Building on the ‘turn waste into value’ concept, launched by the Icelandic Ocean Cluster, Ocean Excellence focuses on transfer technology from Iceland to other fishing nations, by offering solutions to maximise the economic benefits when processing bycatch or by-products. 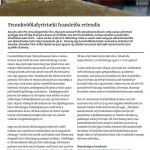 The Ocean Excellence modular drying system has been developed in c-operation with partners Mannvit, Samey, Haustak and the Icelandic Ocean Cluster.